Get a bright, white smile in about an hour. Professional results—in about an hour. For a brighter, whiter smile without the wait, choose Opalescence Boost, an in-office, chemically activated whitening treatment that offers results in about an hour. It's ideal for people who want instant whitening gratification or those who have that special event coming up that requires a bright, white smile. Learn how to begin your Opalescence whitening treatment! Your dentist will use a shade guide to find the current shade of your teeth. Opalescence Boost is applied with a gentle, brushed tip. 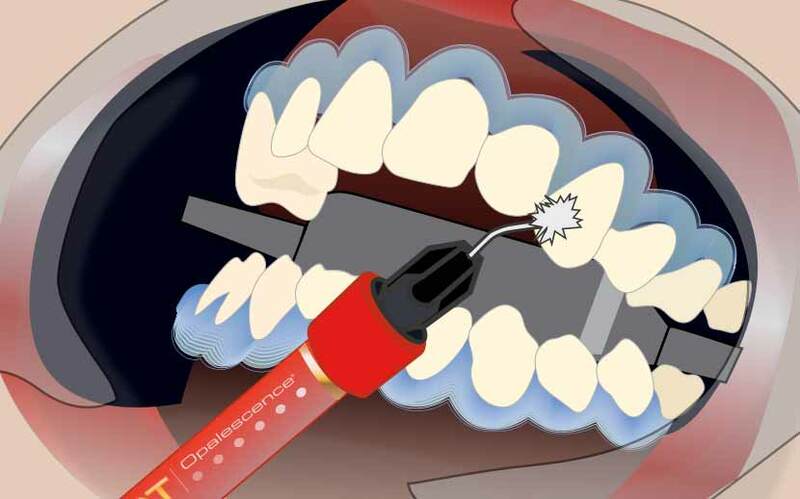 Your dentist applies Opalescence Boost to your teeth. You'll see results in about an hour! ​Opalescence Boost is the fastest way to get the bright, white smile you've always wanted. 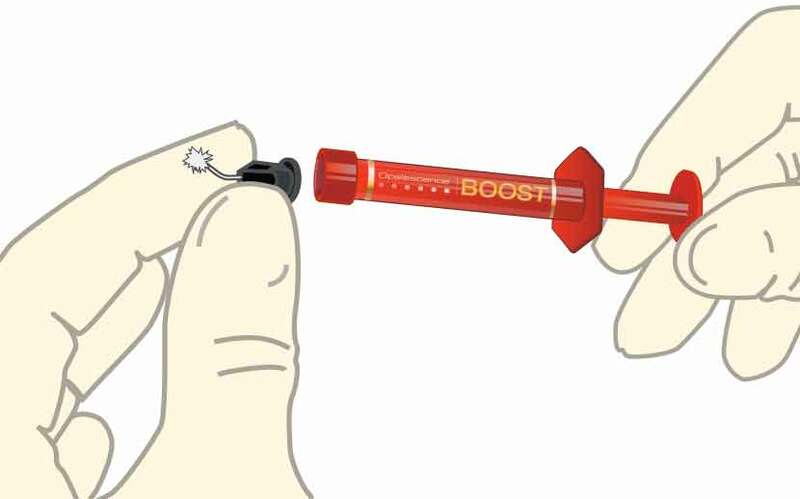 In fact, Opalescence Boost is so fast and effective, it offers dramatic results after about an hour in the dental chair. 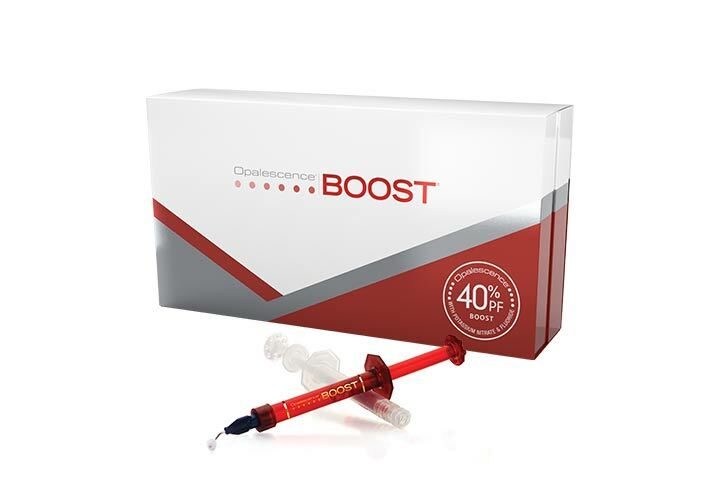 ​Opalescence Boost features a unique, chemically activated formula that allows your dentist to whiten your teeth without the bothersome heat or dehydrating effects of lights or lasers. Studies show that lights and lasers add no additional benefit during in-office whitening treatments.